Just had one of those strange fares where business was cheaper than economy. Is there any sale from elsewhere than UK? I'm from BRU and price still the same as usual! Ex-DUB was a similar price. Both fares expire on 21st December. Have you tried private browsing/incognito mode? I have a long-standing problem that I can't make BA Holidays bookings on my laptop unless I use that, although flight only works fine on my normal browser. I had one of those a couple of year back when I went to IST. Economy basic (no luggage) was cheaper but not by much. Nice. Sounds like a win to me! It was great for my first ever time in F. However, having read F posts in here after, I definitely didn't take advantage of the food (I only had 1 main meal!) but I did do quite well on the LP! I didn't, as it started working again later in the evening, but thanks for the tip, will try it if it happens again! 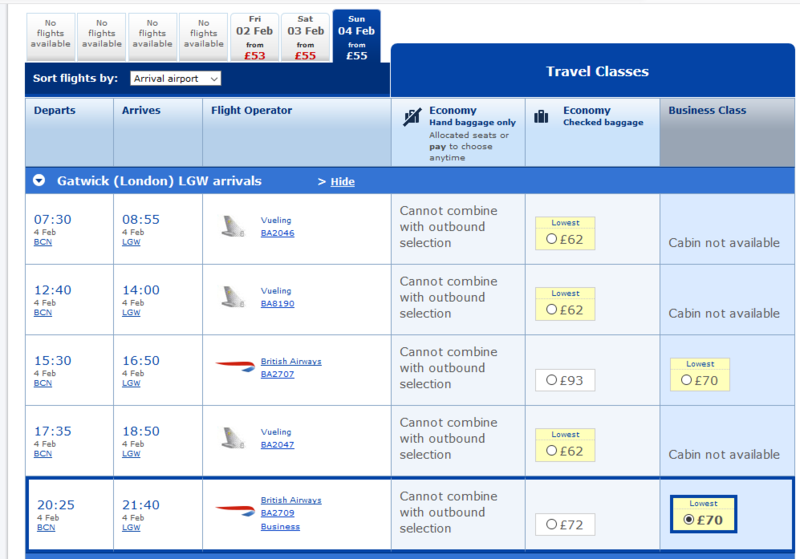 Has anyone found the "book by" date on the LGW Club Europe sale fares? They're not mentioned on the T&Cs on ba.com/sale, so I'm assuming it's not going to last until 30th Jan like the rest of the sale...? The first refurbished 777 is coming into LGW service in early 2018. I know that not everything can be done as quickly as we may like, but a better bit of information would be when does the job get completed, and do we believe that’ll be done by that date. BA do make meal of making any change. If you add car hire to your booking it will allow you to pay a deposit and often comes out cheaper than the flight only price. Tried that - it wanted full payment at time of booking! Are you booking less than 5 weeks prior to departure? The balance is due at T minus 5 weeks.